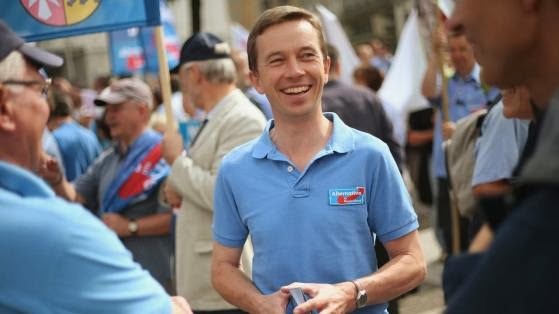 Open Europe: AfD: The party of the youth? 1. Slightly different votergroup than say Wilders or IP. Also potential voters and the way they profiled themselves didnot really match. At the end of the campaign it went better. They focussed on grumpy settled middle aged men, while there are probably much more voters elsewhere. Like here the young and the left and the protestors. But Wilders has substantially more women for instance as well. Simply a lot of potential not used effectively (or not used at all. 2. They donot have much choice re EP. If they donot do it the party will most likely lose public attention. 3. 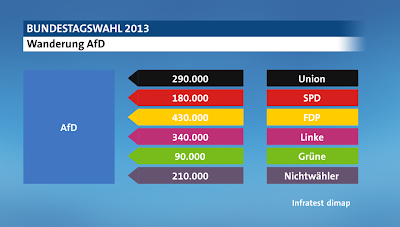 Might be a new election according to some German media as some see it unlikely that SPD and CDU come together. Personally I do not see that. SPD by messing up the formation would only lose in a next election. 4. However for AfD that might be a good second chance. But as said donot see that happening. 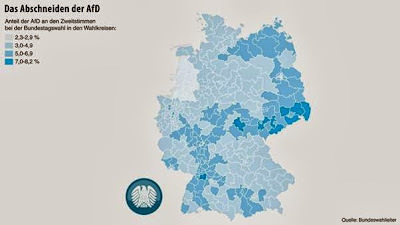 They should also avoid that the FDP gets back on the map. AfD should be the first alternative for the CDU people think off. With a Merxit in at most 4 year (SPD/CDU hardly looks verey stable) there is a huge potential there as well. 5. 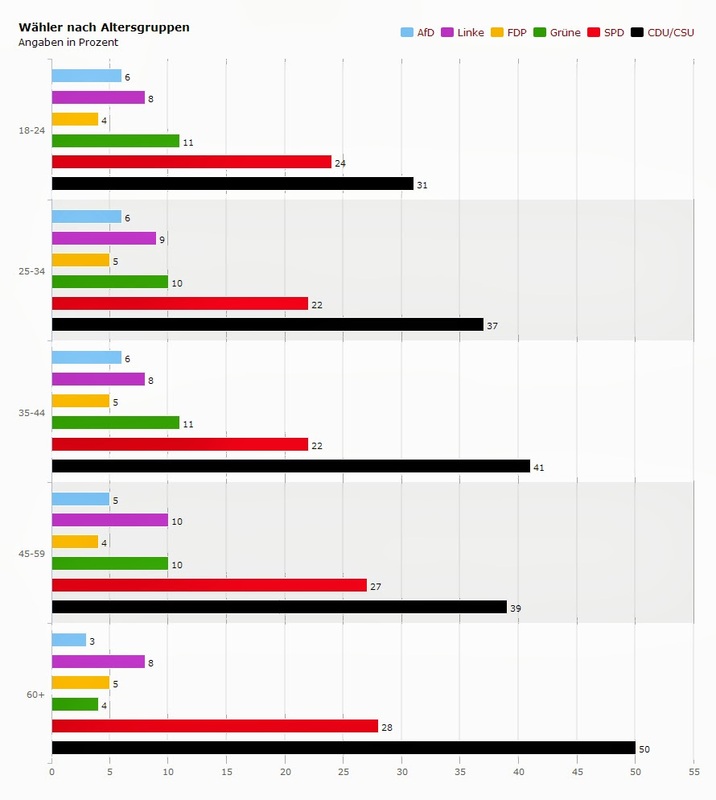 As said SPD/CDU looks unstable or better not very stable. Probably the best time to drop the thing from the SPD side will be when it is clear Merkel will be out and there is as expected no successor. So might be less than 4 years. And of course polls can chance very quickly. Maybe next time if it is the young voters wanting AFD.